The Monaco Yacht Show taking place this month (today) is simply one of the most anticipated and exclusive superyacht events of the year. It’s the place where billionaires (and millionaires too) and their teams of designers, advisors, and crew go to see all the sea going luxury that money can buy. And it’s also the place where some of the largest and most expensive superyachts on the market come together to celebrate the superyacht lifestyle—and to show off to potential new owners. In fact, the Hotel Metropole Monte Carlo is even offering an exclusive, superyacht personal shopper service for VIP’s that are flying in for the event. The size and opulence of the megayachts that will be on display in Monaco from September 28 – October 1 will be breathtaking. And I’m looking forward to seeing them in person after completing (hopefully) the 1,000 mile London Monaco Ride to benefit the Blue Marine Foundation later this month. In fact, here’s a taste of the 5 largest and most expensive yachts that I’m most looking forward to seeing for myself. 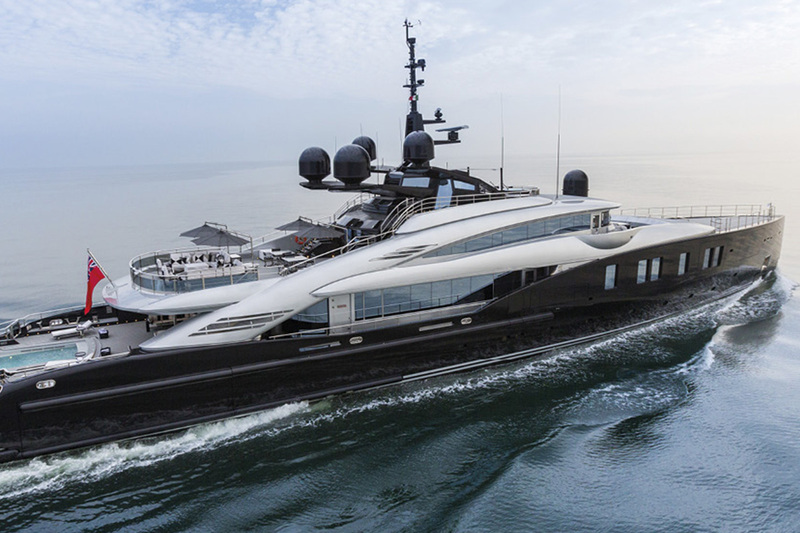 This striking superyacht features a swimming pool on the main deck that can be filled with salt or fresh water, it can be heated or cooled to your precise specifications, and it’s nearly 20-feet long. OKTO also features a guest elevator that runs up to the bridgedeck, an owner’s balcony that extends with a touch of a button, and 4 tender garages. Martha Ann boast 7 staterooms that can accommodate up to 18 guests. 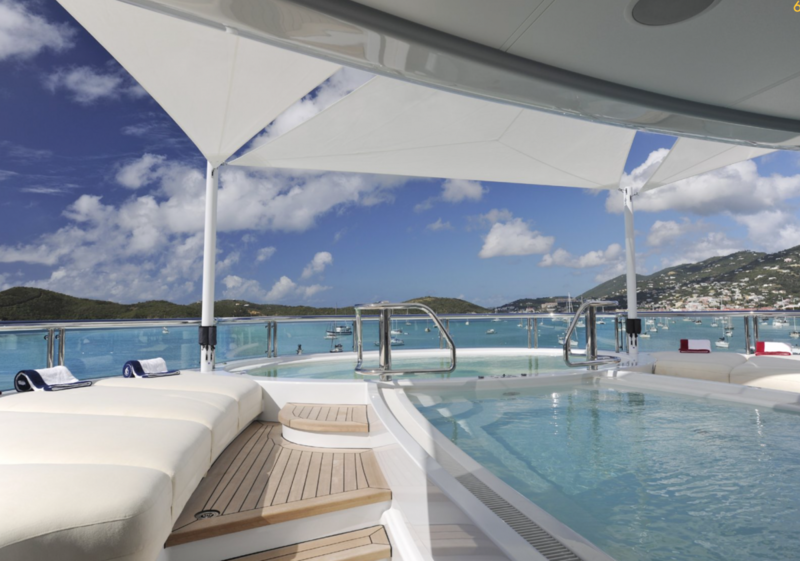 It has a split level master suite on the main deck that features a private observation lounge and a panoramic view. She also features an impressive classical interior by Italian designer Francois Zuretti and intricate handcrafted woodwork, custom furniture, exquisite gold accents, rich marble flooring, onyx countertops, and silk carpeting that’s valued at well over $17 million alone. 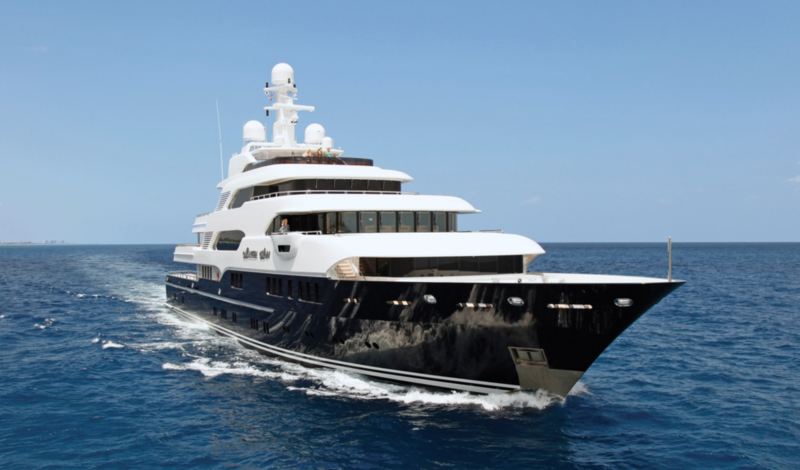 This 230-foot yacht also features large selection of tenders and toys including, a limousine, two wave runners, and scuba diving equipment. Tech titan Jim Clark’s nearly 300-foot long schooner has been for sale (on and off) for a while now and it’s still one of the most recognizable yachts in the world. Its three masts provide significant of sail power and is complete with in mast furling for the topsails and in boom furling for the carbon fiber gaffs. This 255-foot yacht is touted to be ideal for the charter market because of its 5 decks, 4 VIP staterooms, a large array of toys including jet skis and tenders, and its two pools that even feature a “swim-up” bar. It can be yours for about $60 million (after a recent price drop) while chartering TV for a week will only set you back about $954,000.